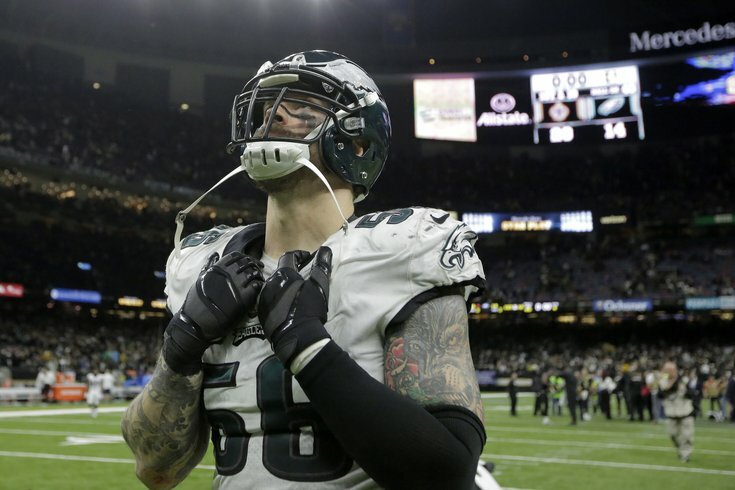 The Philadelphia Eagles still aren't sure whether defensive end Chris Long will return to the team for the 2019-20 season, but that's not stopping Long from keeping busy while he makes his decision. For the next six weeks, Long is on board to write recaps of "Game of Thrones" for Sports Illustrated, putting his spin on the final season of the long-running HBO series. Long's collaboration with Sports Illustrated appears to have come from a previous post he wrote for them in 2017. At the time, Long admitted that he first approached "Game of Thrones" with skepticism. "In my estimation, shows with dragons, sorcerers and hobbits were generally left up to people who played Magic Cards," Long wrote at the time. "But 'Game Of Thrones' has proven time and time again to be the outlier. Its legacy will be that it's one of the greatest shows in television history, and easily in the conversation with heavyweights like The Wire, Breaking Bad and The Sopranos." There will be no shortage of "Game of Thrones" analysis over the next six weeks. You could do a lot worse than Chris Long putting the series' remaining episodes in perspective. You can probably expect gems like this takedown of Daenerys Targaryen. "Is it me or has Khaleesi gotten really full of herself?" Long mused in 2017. "If her character had an Instagram, it would be insufferable. Every time she meets someone and unloads a 73-second self-righteous introduction, I keep hoping one of her dragons will fart out a fireball and engulf her." The final season of "Game of Thrones" premieres Sunday night at 9 p.m. on HBO.